As you probably know, there are a ton of ways to make money online, from marketing to e-commerce to service brokering to arbitrage and beyond. In a recent article I covered a very simple method of making money online with e-commerce and arbitrage. In this article, I’m going to give you an easy, simple, down-and-dirty method for generating some income with affiliate marketing. Contrary to what you might be thinking, this isn’t the standard spiel on the tried and true fundamentals of affiliate marketing, but rather it’s likely something you’ve never heard of before. This method is not limited to just the make money online niche; it can be applied to any niche if you put your own creative twist on it. It’s a technique that is very effective for generating income through back-end sales. Ideally, however, you want to have knowledge and experience in whatever niche you’re targeting. For those who are lazy and don’t want to read the entire article, this method can be summarized as follows: create a report that contains a list of affiliate links to tools (all or some, depending on niche) you use and/or you recommend inside your particular niche. In the case of the make money online niche, which is the main focus of this article, list all of the tools that you use or recommend in your online business, and include your affiliate links to as many of the tools as you can. Then distribute this report for free, whether on social media or through any other marketing channel. People reading this report will click on your affiliate links to the tools you recommend, and you’ll get paid commissions if they sign up. Now I’ll hash this out in more detail. I’ll break this method into a couple of steps, starting with the creation of your asset. Note that from this point on I’ll be assuming you’re in the make money online niche (which you likely are if you’re on my blog), but as I mentioned above, this can be applied to any niche. This is something anyone can easily do on your own. 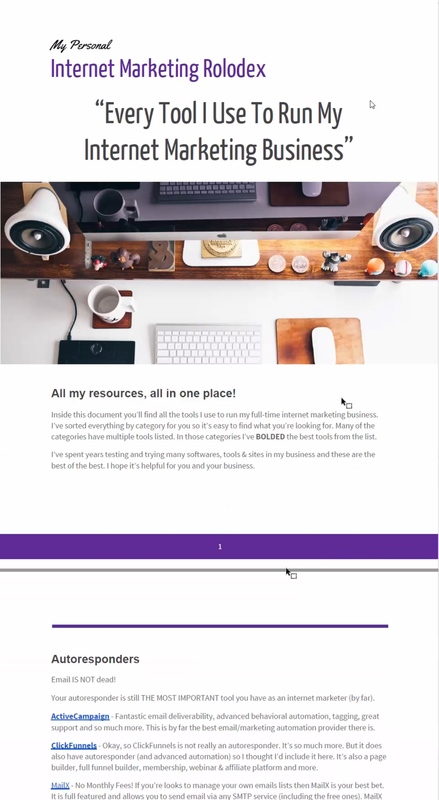 Use a program like Apache OpenOffice or Microsoft Word to write up your “personal rolodex” — a list of all the resources and tools you use in your online business. When listing the names of these resources, link them with your affiliate links to those resources. For this, you’ll need to sign up to as many affiliate programs as you can; not all of your resources will have affiliate programs, and in that case you would just include a regular link to the main website. For example, two popular tools in the internet marketing space are Clickfunnels, a funnel creator, and Clickmagick, a tracking service — both of these offer affiliate programs which you can sign up for and then include the links in your rolodex report. I won’t be including affiliate links to these programs here, but you can find them with a simple search. I suggest making an attractive first page with a title, image and short description of what the report is going to contain. You don’t have to limit the resources you list to just those that you currently use; you can also include others that are relevant. For example, if you use Aweber, you could also list GetResponse or MailChimp as those are also viable alternatives. Remember to use affiliate links whenever you can. Split the resources into categories for a more organized experience. Autoresponders, hosting and domain registrars are a few examples. Bold the resources that you think are the best in each respective category — readers will gravitate towards the bolded text and be more likely to click through. Try to avoid bolding non-affiliate links. Include a short description of each resource. Include a disclaimer at the bottom of the report that discloses the fact that you’re an affiliate. You could say something along the lines of: “This report contains links that may be monetized by the publisher.” This is not necessarily required but it can protect you legally. I suggest creating an e-cover graphic for your report to spark more interest and look more professional. Below is an example of what your report might look like. It’s recommended that you don’t straight up copy this design, but rather use your own style. Once the report is complete, save it as a PDF. You could create multiple “personal rolodexes” in different niches if you’d like, creating more opportunity for income. 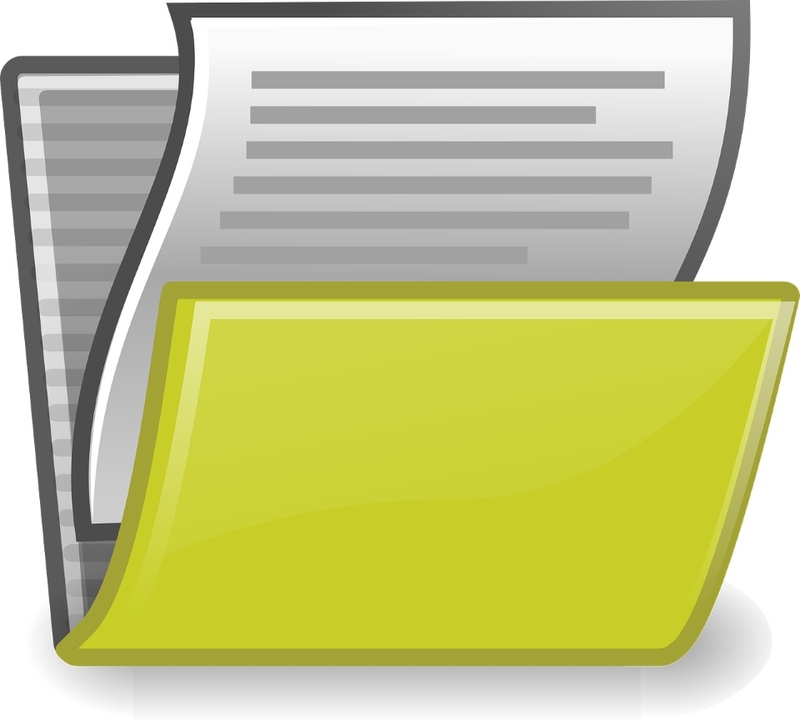 Once your report is completed, saved as a PDF and ready to go, your next step is to get it out there and offer it for free. As with anything, there are free and paid methods to get traffic. For this, I would recommend posting it to as many social media sites as you can to get free traffic flowing. Of course, the effectiveness of this will be positively correlated with the size of your following; if you don’t have much in the way of social media followings, try posting it on Facebook as a timeline post. Aside from social media, you could also run paid traffic, but this is riskier and could be disastrous if you don’t know what you’re doing. When it comes to paid traffic in the IM niche, I would recommend solo ads or search engine PPC. I insist that that you educate yourself on paid traffic methods before you get into them — there are plenty of resources online that you can use to do so. Make a landing page that captures email addresses; when marketing on social media and whatnot, you would link to this landing page and require visitors to enter their email address before they receive their free report. This will allow you to build your email list in addition to generating commissions from the report itself. 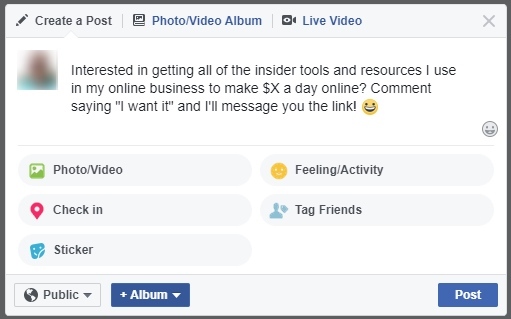 Try this technique when marketing on Facebook: make a timeline post asking people to like, comment and share your post before getting your link. Then personal message each person that you verify performed all of the required tasks and send them the link to your funnel. You can either send a follow-up email with a download link to the free report after a person opts in, or link the opt-in button on your landing page directly to the report. You could do both as well. This is up to you. Make sure your e-cover graphic for your report (if you have one) is visible in your promotions. This will improve clickthroughs. Give away resale rights to the report, so that anyone who downloads it can distribute or sell it themselves as is (without any editing). I suggest including a second disclaimer near the top of the report that conveys this. The rationale? The more the report is distributed, the more people will be exposed to your links and the more commissions you’ll make, and people who are building their list will want to redistribute it. This is what will help you go viral, and virality translates to huge money. That about wraps up my overview of this viral “personal rolodex” method. This is not a new method, but it’s an easy, simple, powerful one that remains very effective. There are a lot of people out there doing something similar to this, building a big list and making a lot of money. What’s great about this is that it doesn’t require any initial investment if you create the report yourself and get free social media traffic, both of which are very doable. In a matter of a few days, you can have a beautiful rolodex report posted that’s building your list and making you passive income. All that you need to do now is take action. Let me know how you do with this! Prev Launch Levels Vol. 1 Review + Bonus – Fastest Way To Make It Online? Next Commission Bullseye Review + Bonus – Double Commissions Instantly?